One place you'll notice your hearing loss is in a noisy restaurant. As you sit across from someone who is talking to you, you may have trouble separating out the sound of their voice from the din of conversation and clinking silverware around you. According to the American Speech-Language-Hearing Association (ASHA), there are three types of hearing loss. 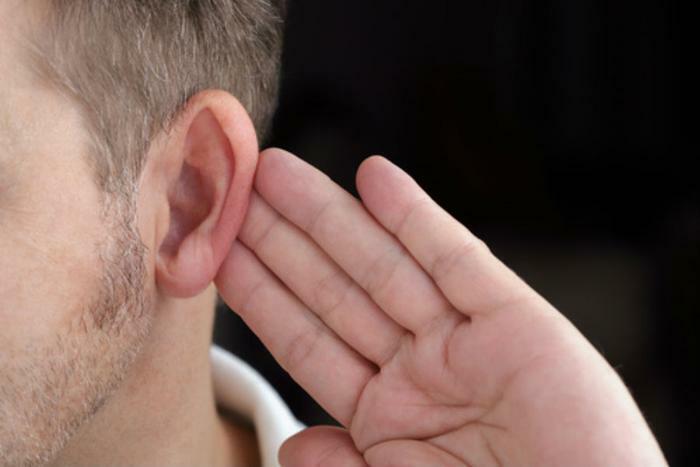 Sensorineural hearing loss, the type most associated with the kind of problem you may be experiencing in the noisy restaurant, occurs when there is damage to the cochlea, or to the nerve pathways to the brain. This sometimes is caused by the gradual loss of hair cells in the inner ear that vibrate with sounds and send messages to the brain. Other causes of sensorineural hearing loss might be illness, drugs that can affect hearing, exposure to loud noise, or simple aging. Conductive hearing loss occurs when there are issues preventing sounds from being accurately transmitted through the ear canal to the ear drum. It usually involves a reduction in sound volume or the ability to hear very soft sounds. Fortunately this is a type of hearing loss that can often be corrected medically or surgically. The third type is called mixed hearing loss, and as the name implies, it has more than one cause. Most often it includes a combination of sensorineural and conductive hearing loss factors. If you are developing issues with your hearing, you should first bring it to the attention of your primary care physician. Some corrective treatment may be an option. If not, you might be ready for hearing aids, which are very different devices than they were just a generation ago. For starters, they are much smaller than in the past. And these days, they're digital, usually resulting in more sound clarity. But there can be problems with these sophisticated devices because they have to be able to adjust to a diverse set of auditory conditions, such as telephone conversations and noisy restaurants. That requires a talented audiologist -- someone who is not only knowledgeable about the workings of the inner ear, but who also understands today's sophisticated hearing aids, and is willing to take the time to adjust them to the specific needs of the patient.